Cat tapestry boots! 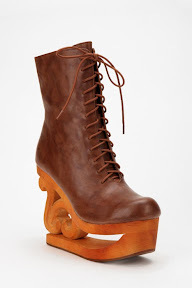 From Jeffrey Campbell! I NEED THESE TO BE COMPLETE. But seriously, these are amazing. 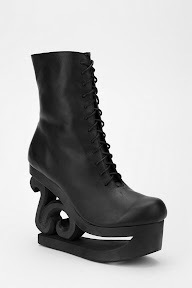 Skate Boots, also from Jeffrey Campbell. Wooden scrollwork soles? I have died and gone to heaven. This to me is the perfect "little black dress". Empire waist, Peter pan collar and the right length. So cute! From Syrup, photo from Wonder Land blog. 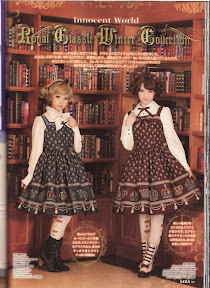 Also from Syrup, also from the Wonder Land blog, these tights are gorgeous! 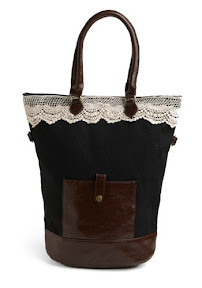 Oh Innocent World, I'm officially selling my soul to you to get the darker colour-way. What items are you fawning over for November? I love that innocent world dress too! What colourway did you decide on? And those jeffery campbell shoes are to die for!! Actually, probably everything you listed is amazing :D Syrup is one of my favourites for sure. Hello, this is dryingthebones from Tumblr. I wanted to send you this because tumblr is being finicky with me right now. I am going to order the skate wedges, but I normally wear a 9. Since you mentioned they run small, should I order a whole size larger? Also, Mod Cloth and UO do not offer the cat wedges, I was wondering if you had found a site that offered the wedges, I can only find them in heel form, which is not what I would prefer. I really like both colourways, but I really don't have much to coordinate red with. 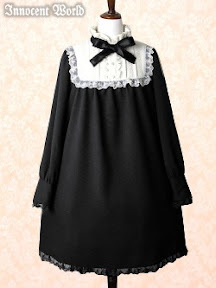 And I really live how "simple" Syrup's clothing is, but are still so stand-out! @deleriumd: I didn't see your question sorry! I go up a half size when I order and they have been perfect so far. 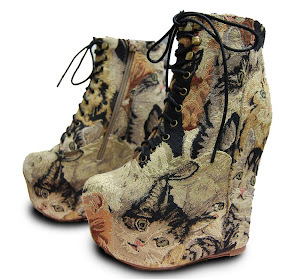 I did the same for the cat tapestry boots, which like I said on ze tumblr, I ordered from Eilatan. I'm guessing the heel version you keep seeing is the "lita" style, I don't really like it either. Yes, the litas do nothing for me. But Urban Outfitters is offering 30% off all shoes until the today (the 8th). So it knocked a good 75ish dollars off the skate boot. I was also wondering, if you were interested, if we could start an email pen pal sort of thing. We both love mourning jewellery, photography and the handsome gentleman in the bespoke suits from 'Oddities'. It would be very nice to chat with someone who is more of an Antiquarian. Aww, I wish I had saw about the sale. Hopefully they'll do another, I really want those skate boots in black!